“We grow as a society by respecting differences” and that was evident tonight at Deakin University’s #Eid festival. 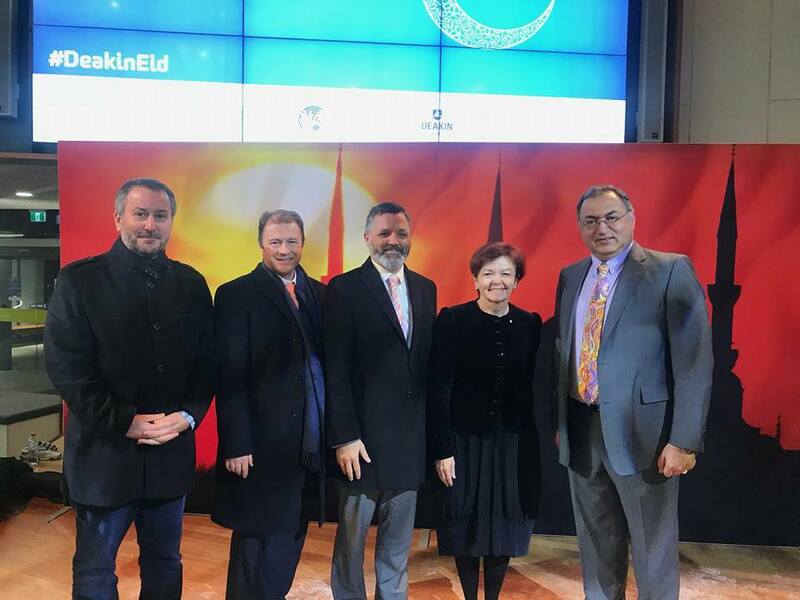 A diverse audience was in attendance to warm messages from the event speakers – Vice Chancellor Prof Jane den Hollander, Graeme Watt MP, Prof. Shahram Akbarzadeh & Executive Director of the Islamic Council of Victoria, Nail Aykan. Performances were courtesy of Sirius College students, Whirling Dervishes, Sufi Music group and Deakin University rappers. UNESCO Chair Prof. Fethi Mansouri and his team were acknowledged for their work in promoting community interaction.